This is the third in a series of articles giving brief biographical sketches of the people who owned the Wanstead estate over 800 years. Links are given to sources of additional information on this site and elsewhere. Henry VIII’s last keeper of Wanstead Park was Sir Richard (later Lord) Rich, who was appointed in 1543. In 1549 Edward VI granted Rich the lordship of the manor and Wanstead Park, which thus left the hands of the Crown and returned to private ownership. 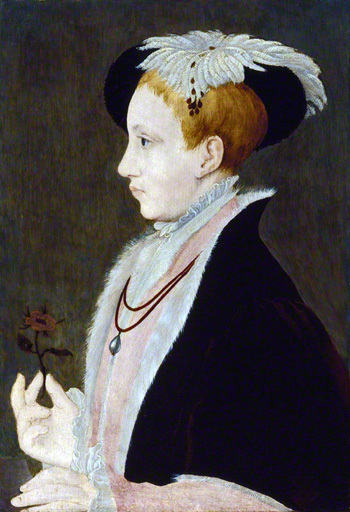 King Edward VI, studio of William Scrots, c.1546. Image © National Portrait Gallery, London. 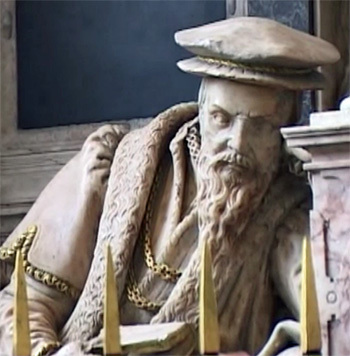 Richard Rich (1496/7-1567) was a lawyer and statesman, who served Henry VIII, Edward VI and Mary I. Though personally of conservative religious sympathies (his daughter was said to have entered the restored Brigittine house at Syon under Mary), he took an active role in the dissolution of the monasteries in his capacity as Chancellor of the Court of Augmentation, and greatly profited thereby. Rich was raised to the Peerage in 1548. "Can it therefore seem likely to your Lordships, that I should in so weighty an Affair as this, act so unadvisedly, as to trust Mr. Rich, a Man I had always so mean an Opinion of, in reference to his Truth and Honesty, ... that I should only impart to Mr. Rich the Secrets of my Conscience in respect to the King's Supremacy, the particular Secrets, and only Point about which I have been so long pressed to explain myself? which I never did, nor never would reveal; when the Act was once made, either to the King himself, or any of his Privy Councillors, as is well known to your Honours, who have been sent upon no other account at several times by his Majesty to me in the Tower. I refer it to your Judgments, my Lords, whether this can seem credible to any of your Lordships." Regardless of the evidence, the outcome was never seriously in doubt, and the court found More guilty after a mere 15 minutes deliberation. Rich was responsible for the second defining moment in Wanstead Park’s history: recognising its potential as a country seat in close proximity to London, he swept away the old house, which was seemingly in poor condition, and built a magnificent replacement on a new site. Rich’s new house was in a commanding position on a hill “several hundred paces” to the north and east of its predecessor. It was of stone, and said to be the largest house in Essex. This was, in essence, the building which survived until 1715, when it was replaced by Colen Campbell’s great Palladian mansion on the same site. Sadly, we know little about Rich’s house. There are a few engravings that show the exterior, but no plan exists, and almost nothing is recorded about its decoration or furnishings. Wanstead House, in 1553, saw the dramatic meeting between Mary and Elizabeth, where they publicly united against the reluctant usurper Lady Jane Grey, and began what became a triumphal progress into London where Mary assumed the crown. In 1561 Elizabeth again visited Lord Rich at Wanstead – in very different circumstances, as Mary was dead and she was now Queen. In 1567 Rich leased most of the estate to James Lord, of Danbury. Lord Rich died in the same year, leaving the freehold of Wanstead to his son Robert, Lord Rich. The lease later passed to Lord’s widow, Joan, who conveyed it to Thomas Lord and Lawrence Bingham. For more information on Richard, Lord Rich, see History of Parliament Online. Friends committee member Stuart Monro made a short film concerning Richard, Lord Rich. Local historian Peter Lawrence visited Rich's monument at Felsted Church, near Braintree, and gave him a piece of his mind.